In the first post in this series, I outlined what a content strategy is and why it’s a critical part of your digital business model. Over the next 5 weeks of this series, we’ll go through a full content strategy, but where to start? Sometimes it’s best to start at the end. 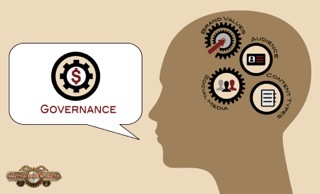 When it comes to Content Strategy, A Governance model is perhaps the most important factor. Why? Because if you understand up front what it will take to create, measure and maintain your online business communications, you will be more realistic and strategic when you develop your content strategy. In this post I’ll outline what your governance model will include, and then go into some detail on the creation of the first piece of your content strategy and resulting governance model. What do I need to Govern? Governance of your content strategy means managing these communications, and it is like running a second business, your digital business. It is part marketing, part sales, and part corporate communications. And like any business, you need a plan: that’s what Governance is. Your Governance model brings together all of the pieces of your content strategy into a structured, executable plan of action. Putting a realistic and actionable governance model in place means being very clear about your brand values and goals, your customer needs, knowing which platforms your ideal customers are using, and which blend of content types will give your brand voice consistency and regularity, and then putting it all in a calendar. 1) A clear statement of your brand purpose. This can be in the form of a mission statement, or it can be in the form of a message map, elevator pitch, or Value proposition (also sometimes called a unique selling proposition or USP). 3) A clear idea of the conversion funnel for your ideal customer and which content types, on which platforms are likely to reach them. 4) An editorial calendar outlining when and what you are going to create or curate and some handy tools to keep it all running smoothly. These things need to be written down! Don’t keep it all in your head. I keep my governance model in front of me in the form of sticky notes and charts pinned to a large piece of foam core that serves as my content strategy whiteboard. Knowing that these are the building blocks of your content strategy governance model, you can sketch them out very high level, and over the next 5 weeks we’ll fill in the blanks, starting this week with Brand Values. What are your brand values, and what are your business goals? By getting this down very clearly you will have some good material for your About Us page and a guide that will help you with your future content, customer, and platform decisions. 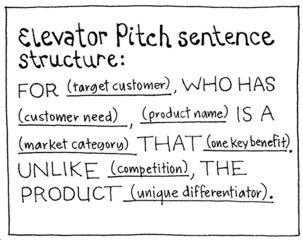 The problem with typical mission statements is that they are very high level and often include a lot of jargon. For this reason I prefer to create more tactical artefacts, such as a Message Map or Value proposition. A message map is perhaps the most tactical artefact you can create. It is quick and relatively easy to put together and is a good guideline document if you need to write something quickly such as a product launch announcement, or if you need to give something to your employees so they know the talking points on a particular product, initiative, or your business generally. CEO’s or PR writers use message maps if they are preparing to do a media interview, for example, or write a press release. 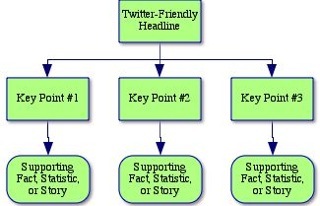 Watch this video about message maps, or use this basic formula, starting with a Twitter-friendly headline. This means a short, maximum 140-character statement about your brand or product. Then, write down 3 key points about your brand or product, making sure they are short bullets. Finally, for each of those three points, come up with a few supporting facts, statistics, or stories that bring the point home. Creating a value proposition using this template from copyhackers will give you a little bit more range of options in terms of how you might talk about your brand as a whole. Copyhackers has an excellent suite of worksheets and tools for all aspects of content strategy and a great process for figuring out your value proposition, that has you think about your brand and your service(s) or product(s) by filling in this grid. In the left-most column, write down all of the statements you can come up with that describe the benefits or features of your brand, service(s) or product(s), then really ask yourself if that statement gets a “tick” in the boxes to the right. When you have a statement that ticks all the boxes, you have a great value proposition! My favourite tool is taken from the book “Gamestorming” because it brings customer target into the mix, and it is visual and easy to fill in the blanks. Try to make a few of these until you find a combination that feels right. Once you have a clear idea, or collection of ideas and statements on what you have to offer as a business, the next step is having a very clear picture of your customer: knowing what they want, and where they are going to find it. Your Customer: figuring out what your customers want, who they are, and where they are. Editorial and Content types: we’ll look at creation vs curation and finding the right balance for your brand and your customers, and why you need a schedule. Regularity and consistency is key to building audience. I could spend all of my time on creating and maintaining content. But obviously then I wouldn’t be running my business. Every business owner has to be a sales and marketing pro these days, however, and much of that sales and marketing activity is contained within the governance model of your online content strategy. It’s important to find the right balance-or governance model-for your business.